by the finest instructors on the planet. 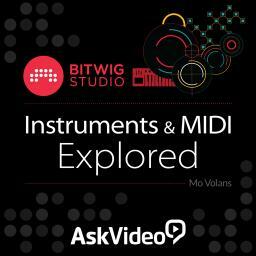 Bitwig Studio is bundled with a wide array of audio effects and processors. 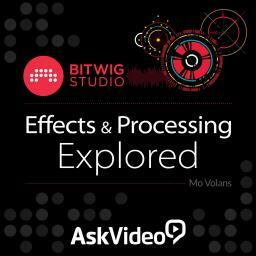 This exclusive 19-tutorial course by expert trainer Mo Volans takes you on a detailed tour of these FX explaining how they work and how you can use them in your productions. Watching Olav demonstrate his work flow has given me a lot of ideals to improve my work flow. The principles can help with any genre of music. Olav Basoski is the man. Super cool, relaxed, and fun, with a refreshingly non-geeky approach to sequencing/electronic music making. Highly recommended. More from Mr Basoski please. This is a genuinely informative course. It explains exactly what the plugins do and how to use them effectively. For the amateur, or semi-pro, you will find this practical indeed. Mr Volans has a great teaching style. I was never once bored with this tutorial. Well done, sir. Another great tutorial by Mo! Really cuts to the chase... Makes the new features easy to learn along with his enthusiasm to teach! Keep em coming! These people move the audio industry, you can't access this level of training anywhere else! led by the world's best musicians, certified trainers and industry pros. 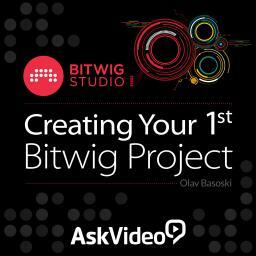 AskVideo is an online education community for both Windows and Mac users, training on the world's leading creative software and applications. Our course library includes videos on Adobe CS, Logic Pro, Final Cut Studio, InDesign and more.